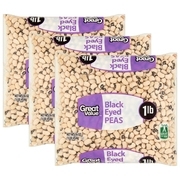 Product - Sylvia's Black Eye Peas - Seasoned - pack of 12 - 15 Oz. Sylvia's Black Eye Peas - Seasoned - pack of 12 - 15 Oz. Product - Eden Foods Organic Black Eyed Peas - pack of 12 - 15 Oz. Eden Foods Organic Black Eyed Peas - pack of 12 - 15 Oz. Product - Bioitalia Beans - Black Eyed Peas - Pack of 12 - 14 Oz. Bioitalia Beans - Black Eyed Peas - Pack of 12 - 14 Oz. Product - Sylvia's Black Eye Peas - Seasoned - 15 oz. Sylvia's Black Eye Peas - Seasoned - 15 oz.